48 size is currently out of stock. 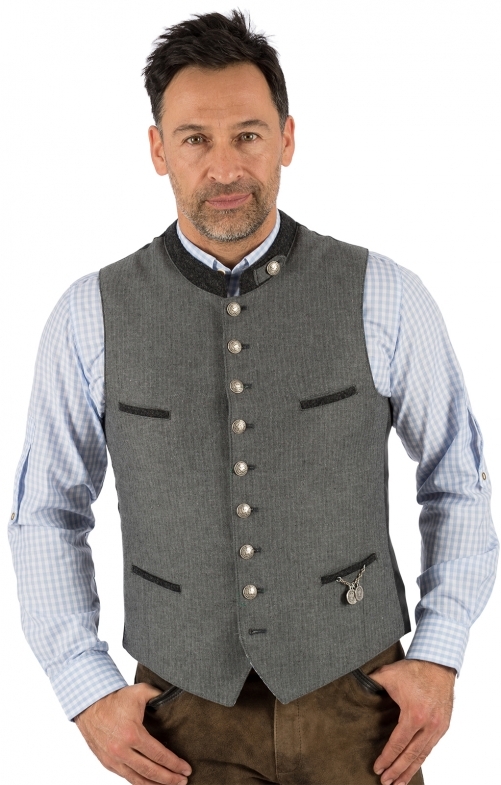 Classic traditional waistcoat in grey for men. In our online shop, there is the fashionable waistcoat in traditional style with the exquisite fit for everyday wear. Decorating elements such as costume buttons in the colour silver, dark piping on the bag tops and a dark stand-up collar provide the proper look of this model. The beautiful traditional waistcoat made of fine cotton, cool linen and easy-care polyester is ideal for leather trousers and blue jeans.